"The estate of Giuseppe Mascarello e Figlio has a long and illustrious history in Piemonte, and is unequivocally one of the greatest Barolo producers. This traditionally-styled winery is now run by Mauro Mascarello, who is the fourth generation of the family to head the domaine. The estate's origins date back to the mid-1800s, when Giuseppe Mascarello made a name for himself managing the vineyards of other landowners, and which ultimately culminated in the purchase of his own vineyards and cellars in 1881 in the village of Monforte d'Alba. His son Maurizio Mascarello purchased his own farm and parcel in the great Monprivato vineyard in the neighboring village of Castiglione Falletto in 1904 and moved the family business to this location. Since that day the name of Mascarello and the fabled vineyard of Monprivato have been inextricably linked. In 1921 Maurizio purchased an old, beautiful 18th century building in the nearby village of Monchiero that had been one of the architectural landmarks in Piemonte, and moved the family business there; it remains there to this day. When Maurizio passed away in 1923, his two sons, Giuseppe and Natale took over the running of the domaine. The two brothers eventually parted company (splitting up the vineyards), with Giuseppe continuing to gain renown for the superb quality of his Barolo, as well as his Barbera and Dolcetto. Demand for Giuseppe's wines continued to increase and he expanded his purchase of grapes from some of the best local growers (a practice started by his father) to meet his needs. In the late 1950s he found the need to replace his old casks in the cellar with new Slavonian oak barrels, which continue to be used to this day. Giuseppe's son Mauro Mascarello worked alongside his father for many years, before taking over the main responsibilities for running the family domaine in 1967. In 1979, upon the passing of his uncle Natale, Mauro re-purchased his vineyards and reunited the original Mascarello property. 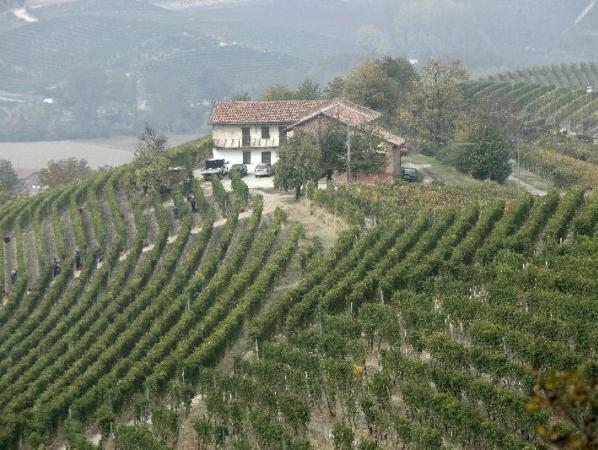 Throughout the tenure of Maurizio and Mauro Mascarello, the fame of the Monprivato vineyard continued to climb, and today it is universally recognized as one of the greatest vineyards in all of Barolo (it would be a grand cru on par with a Chambertin or a Richebourg if this were Burgundy), with the name of Mascarello always tied to the greatest expressions of Monprivato. The six hectare Monprivato vineyard is beautifully situated facing southwest, in the town of Castiglione Falletto. The Mascarellos now own all of Monprivato (having purchased small plots from a couple of neighbors in the period between 1985 and 1990), making this great site now a monopole along the lines of La Tâche. Not only is the Mascarello Monprivato renowned for its great terroir, but much of it is also planted to one of the finest strains of Nebbiolo, the Michét variety, which was first introduced into the vineyard by Maurizio Mascarello in 1921. Subsequent substantial replanting with Michét were also undertaken by the family in 1963. The soils of Monprivato, coupled with the haunting refinement found in Nebbiolo Michét, produce one of the most compellingly complex and elegant interpretations of Barolo to be found. With bottle age Monprivato produces a beautiful, red fruity, truffley and soil-driven Barolo, redolent also of autumnal notes and roses. For four generations the winemaking style of the Mascarellos has followed a traditional approach that allows for the brilliant underlying terroir of all of their wines, and Monprivato in particular, to take center stage. Mauro Mascarello is often described as "an enlightened traditionalist" when it comes to his winemaking approach. Now assisted ably by his son Giuseppe, there are no new French oak barrels or roto-fermenters to be found in the Mascarellos' cellars, as the wines continue to be made in the old Slavonian oak botti (very large casks) purchased by his father in the 1950s. The Barolos (there are now a handful of different vineyard-designated bottlings) are macerated for about thirty days during fermentation (down from sixty days back in the old days), raised for approximately three and a half years in old wood, and then bottled unfined and unfiltered. Unerringly they are always amongst the finest examples of their respective vintages, which blossom after six to ten years of bottle age and evolve brilliantly over the ensuing twenty-five to forty years. Besides the flagship Monprivato, there are now a Mascarello Barolo "Villero" (another superb vineyard in Castiglione Falletto, of which the Mascarellos own just over half a hectare and began bottling this in 1978), a Barolo "Bricco" (an outstanding vineyard also in Castiglione Falletto in which the family holds .7 hectare) and a Barolo "Santo Stefano di Perno" (a well-situated vineyard that was only replanted in the late '70s and 1980s after years of not being in production- the Mascarellos have about two-thirds of a hectare here). The Santo Stefano di Perno vineyard is also one the sources for the superlative bottlings of both Dolcetto and Barbera from the family. The Mascarellos also adhere to the traditional approach of declassifying some of their Barolo on occasion, and for this reason their Nebbiolo de Langhe bottlings can offer stunning value. The fine Mascarello lineup is rounded out with a bit of Freisa (a traditional Piemonte variety that produces a lovely, complex and medium-full wine that drinks well in its youth and has the ability to age gracefully for up to a decade). The Mascarello lineup was finally rounded out with the first release of the Riserva bottling of "Cà d'Morissio" in 1993. All the Cà d'Morissio Riserva is made from a tiny parcel of Nebbiolo Michét in Monprivato planted in the mid-'80s after being specially selected from the original 1921 plantings. It is named for Mauro Mascarello's grandfather, Maurizio (Morissio in Piemontese dialect) who was the first generation to purchase a plot in Monprivato. This exceedingly rare bottling is a profound Barolo Riserva. All in all, there are very few great names in Piemonte that can match the breathtaking quality of the wines of Giuseppe Mascarello e Figlio, and none that can surpass this fine old estate for commitment to excellence up and down their quality hierarchy. The domaine of Giuseppe Mascarello is simply one of the greatest wine producers in the world."